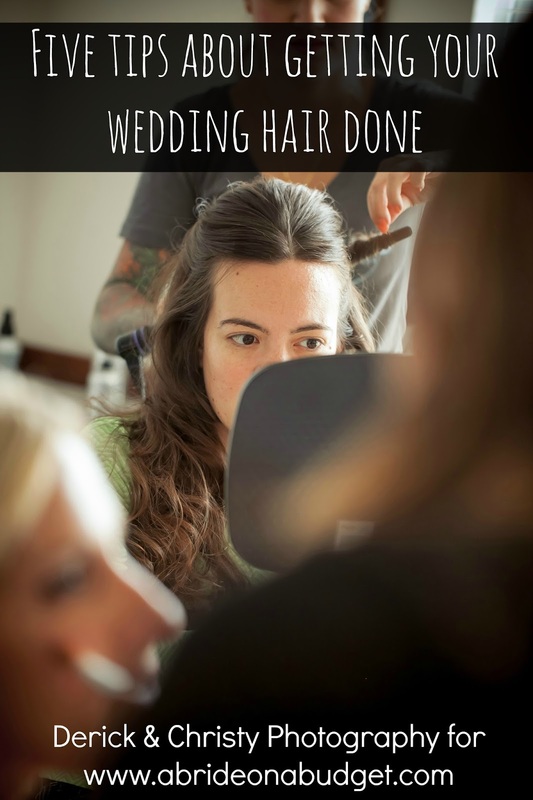 A Bride On A Budget received the items below for review. All thoughts and opinions belong to ABOAB. I spend a lot of time on Pinterest. Probably more than one person should, but, arguably, probably less than most people do. And what I see a lot of are wine bottle crafts. I've actually done a few wine bottle crafts myself. There was the glitter wine bottle centerpieces we used for our engagement party and the twine-wrapped wine bottles. If I do a craft, I leave the wine bottle whole. I've seen the tutorial many times about how to cut a glass bottle with string, nail polish remover, and fire. I'm not MacGyver. I'm not trying that. But I love the way glasses from glass look. If you're the same way, you're in luck. Refresh Glass will actually do this for you. But not with some random bottles that someone picked from the trash at the local bar. No, you can actually have them make them from the wine bottles from your wedding reception. How amazingly sweet is that? I don't even have the right words to explain how amazing I think that keepsake is. The process is pretty simple. You purchase the Refresh Memories Kit, which includes: six Custom Etched – 12oz glasses; six Custom Etched – 16oz glasses; one Personalized Reusable Wooden Box. 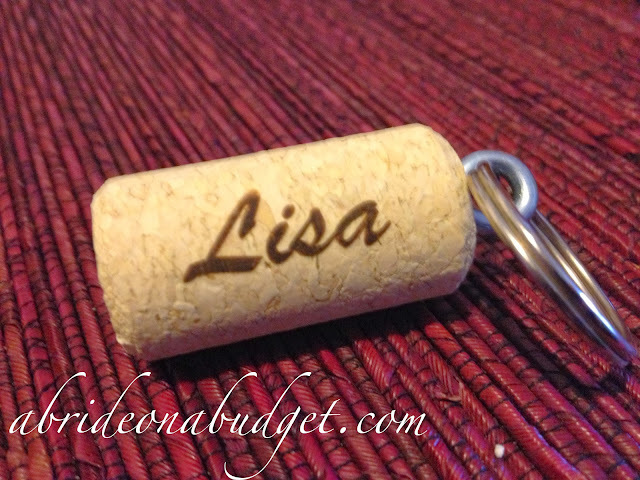 two Personalized Cork Key Chains; and any Salvageable Wine Labels. After you purchase, you will receive the necessary packaging to mail 16 bottles to the company (personally, I would assign someone the task of accumulating the 16 bottles for you. I wouldn't want to grab a bottle of red wine in my white wedding dress ... only to find out someone left a sip inside, a sip that could fall onto your dress and ruin it). When the bottles are received, they are turned into glasses, etched with whatever you would like them to say, paired with two cork keychains, and mailed back to you with a personalized wooden box. These came in the mail and I opened them and said, "Wow." Aloud. To myself. I was that impressed. The glasses I received are beautiful. They have such character to them because they're not all exactly uniform. 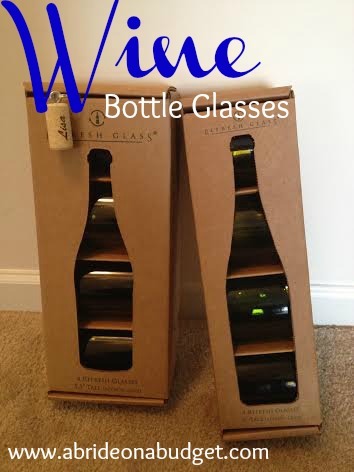 Since different wine bottles are different colors, your glasses will reflect that. I ran my fingers around the edge and there aren't any sharp edges, so you don't have to worry about taking a sip and cutting your lip. And you can sip anything in these. Sure, you can drink wine in them (but I don't think filling a 16oz. glass with wine is the best idea). You can use them for tea, water, cocktails, whatever you like. I would say these are dishwasher safe because they are made from glass, but I can't find that anywhere on the website, so use your best judgement. I'm absolutely in love with the idea that you can have this amazing keepsake from your wedding, and in such a classy way. If you told someone you wanted to save pieces of 12 wine bottles from your reception, they would call you a hoarder. But if you have a dozen glasses from that special day, that's a beautiful thing. The Refresh Memories Kit is $350, which may not, however, fall into your budget if you are paying a bunch of deposits for every aspect of your wedding. But what if you want these, but only because you don't want to make them from a Pinterest tutorial? 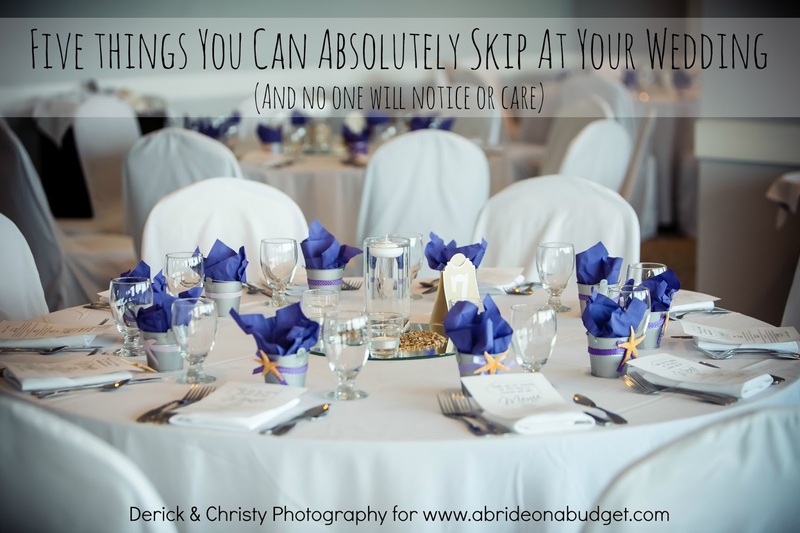 What if you like them but your wedding has passed and you're not planning on stocking 16 empty wine bottles in the closet? You can actually purchase the glasses starting at $24 (that's for the plain glasses that you can personalize. The limited edition mustache glasses start at $40 for a four pack). I know what you're thinking: What a great concept but what happens to the rest of the bottles? Do they become waste? 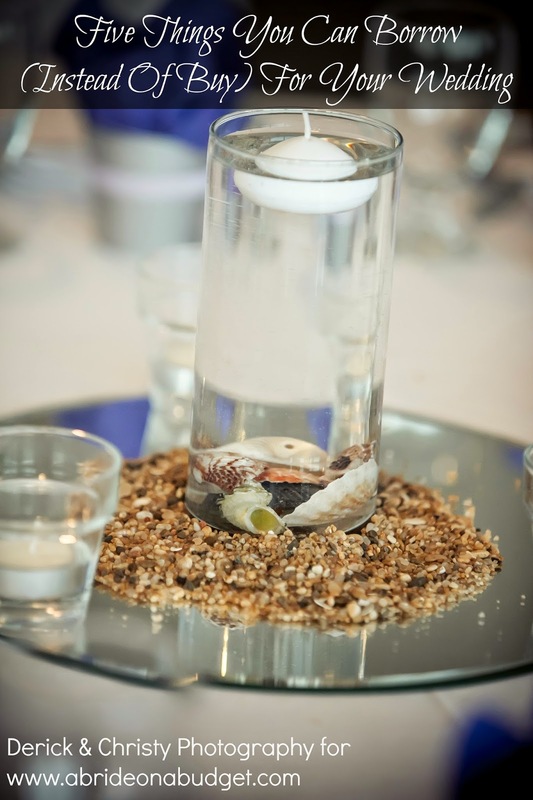 In fact, you can actually purchase tops and top accessories to mount them and turn them into candles. If you are interested in those other Pinterest projects, you can purchase a bag of 50 wine corks. You can purchase full bottles that have been split in half, bottles that have the tops turned inside and have been turned into planters, or carafes. There are a lot of products available, which just blows my mind. There was a time when people looked at wine bottles and saw a bottle that held your wine. And then there was a time the people at Refresh Glass looked at wine bottles and saw a world of possibilities. 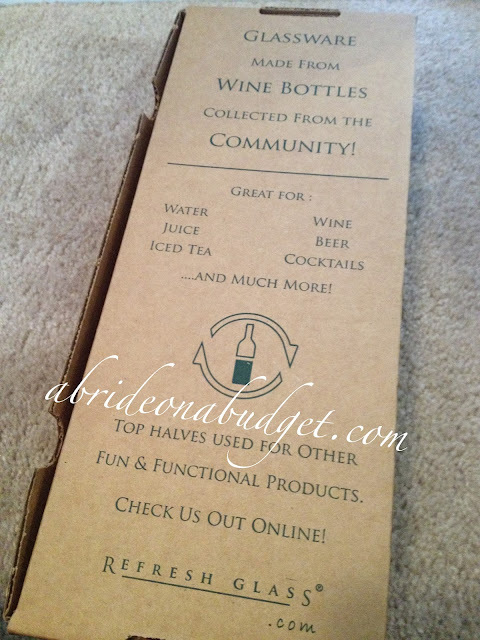 BRIDAL BABBLE: What is your favorite wine-bottle craft item? I've never considered repurposing a wine bottle like this. Were your glasses etched? I can't tell from the photo. Hi Clara. Our glasses were not etched, although the company does offer that. The key chain is really cool also :) There are so many crafts you can use with wine bottles, I like this one the best! Oh my gosh these are so awesome! I think it would be a wonderful memory item! This is such a wonderful idea! I would love to have something like that for my memory items. Great review! This is such a great way to preserve memories into something useful! 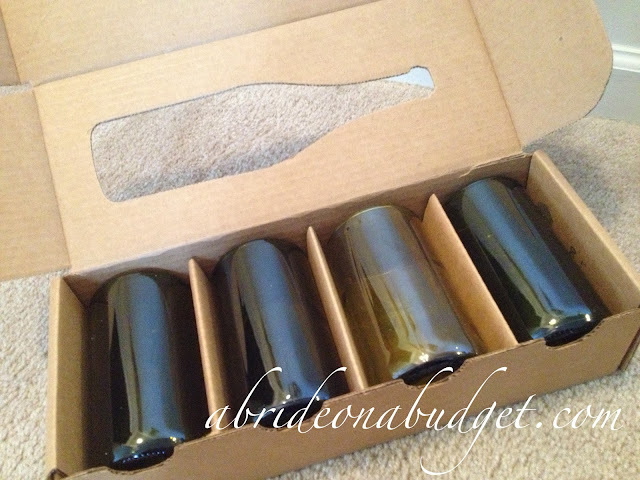 This is such a great way to re-purpose wine bottles from any occasion! 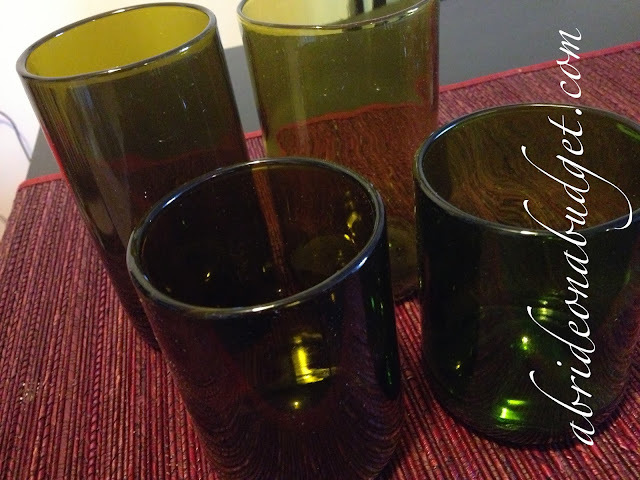 (Review: Wine Bottle Glasses From Refresh Glass) These are really neat, perfect for any wine lover as a gift. I would purchase this for my friends.